A month ago I was feeling extremely lethargic and unmotivated, and I didn’t understand why. I had a healthy diet, made sure I was getting enough sleep but I just couldn’t shake that ‘meh‘ feeling. Annoyed with myself for feeling like this, I decided to take action in the form of a supplement. 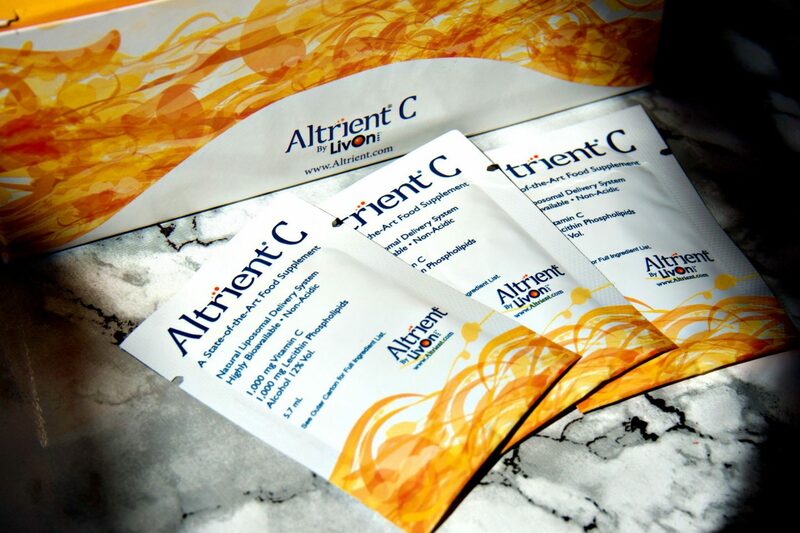 I had read about Altrient C on Caroline Hirons blog and after reading hundreds of positive reviews, I decided to buy it for myself. 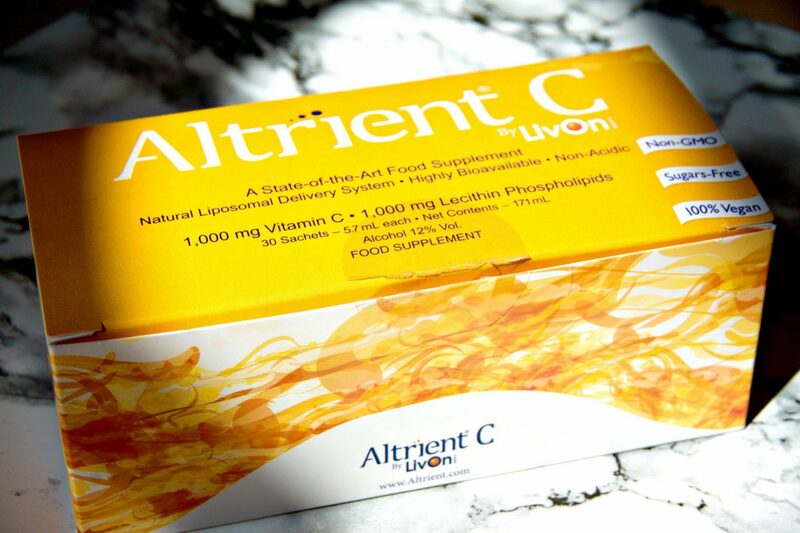 Vitamin C is a powerful antioxidant that most people take to support their immune systems. Did you know it also supports collagen formation and the normal function of skin, blood, bones, gums & teeth? Vitamin C’s magic powers don’t stop there, it also helps to reduce tiredness and helps protect your cells from oxidative stress. 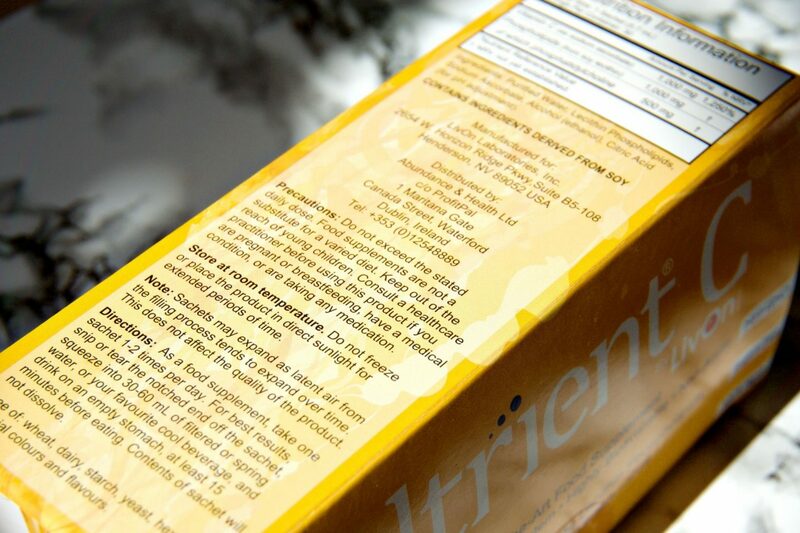 oh yes and there’s more; lower blood cholesterol, increase iron absorption in the gut and metabolise protein. So now the question is – why wouldn’t you take Vitamin C? Most ordinary forms of oral Vitamin C – tablets, capsules, powders, liquids and even dietary sources are not metabolised efficiently. Vitamin C is a water-soluble nutrient that is not stored by the body. At best, we can only absorb up to 200mg of standard vitamin C at a time. 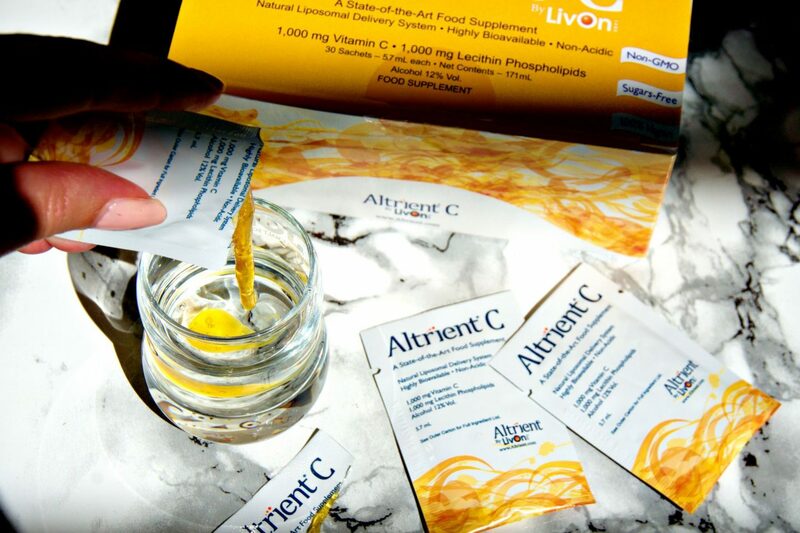 Although your Vitamin C supplement may provide 1000mg, you are technically peeing the majority of it away. 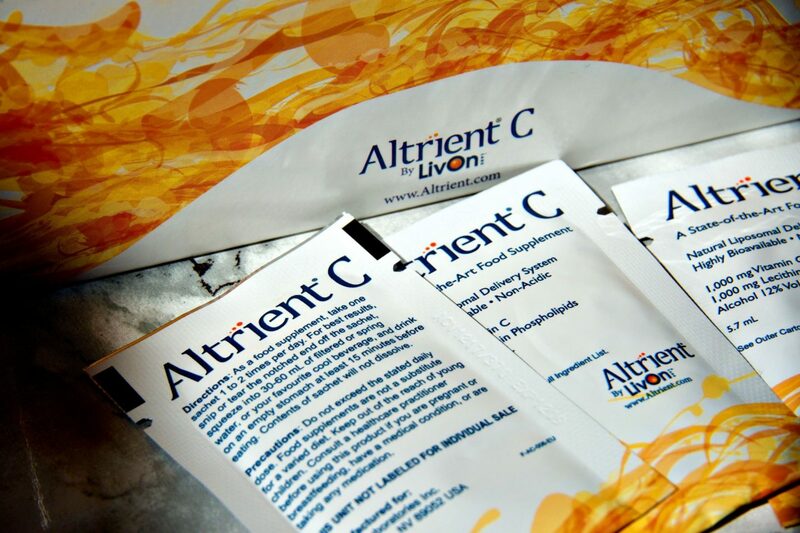 Altrient C offers a scientifically proven liposomal delivery method of Vitamin C. This means the Vitamin C is kept in tiny bubbles that protect the contents and by-pass the digestive juices to deliver the Vitamin C directly to your cells. This delivery method increases the absorption by protecting the Vitamin C from the destructive elements of the digestive system. Ensuring it reaches the cells where it is needed. 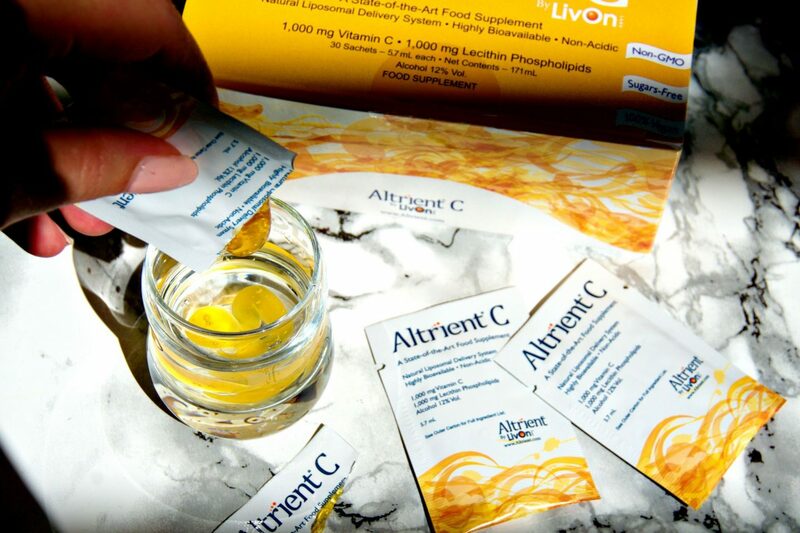 Protecting the vitamin C from oxidation and degradation; and ensures almost 100% bioavailability. Energy Levels – Increased and less lethargic. Nails – Stronger, not splitting/breaking. Skin – Brighter, lots of compliments on my skin. Immune system – No colds or ‘run down’ days. Take it like a shot in the morning. 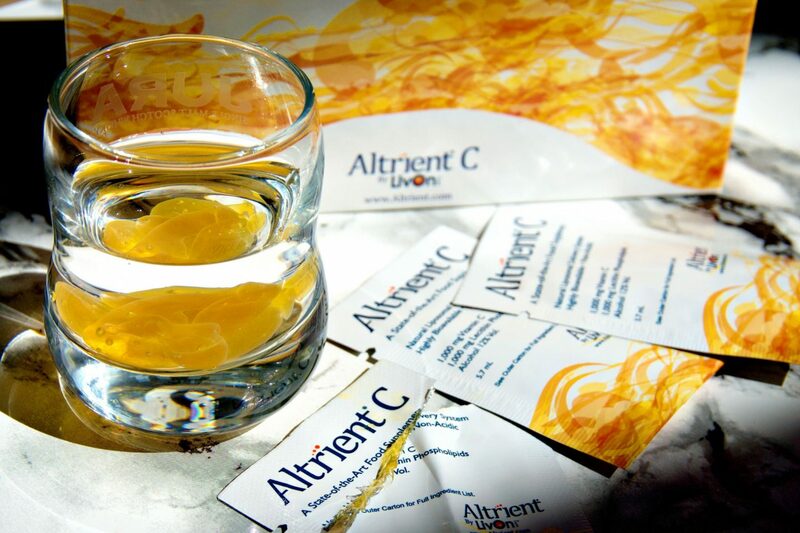 Fill a shot glass with 60ml of water and add one sachet of Altrient C. I find it best taken in glass rather than plastic (sometimes the Alt C stuck to the plastic shot glass). DO NOT stir or blend. Shot it back on an empty stomach in the morning and avoid food for 15 minutes. Read my post on Bridal Skincare Supplement prep here.